Let’s start with a qualifier before we start yelling at those drone kids to get off our aviation lawn: The FAA has never verified a collision between an airplane and an unmanned aircraft system (UAS), or drone. It hasn’t happened, ever. To date, pilots have claimed a few drone strikes, but the incidents are like Elvis and Bigfoot sightings: Investigate a little bit and the reported certainties get uncertain. “Every investigation has found the reported collisions were either birds, impact with other items such as wires and posts, or structural failure not related to colliding with an unmanned aircraft,” reported the FAA in a 2016 statement. That doesn’t mean there haven’t been sightings and more than a few near-misses. In the latest FAA quarterly report, which covered October to December 2016, pilots detailed 399 encounters between planes and aerial robots. While some drones may have been misidentified birds or balloons, there are enough credible entries to give pilots pause. What’s worse, drone-plane standoffs rarely occur in the “big sky” parts of a flight. They happen in and around airports during those flight segments where planes are low, slow and busy maneuvering to land or depart, this despite regulations that prohibit unmanned aerial vehicle (UAV) operation within 5 miles of an airport without prior approval. And those are just four highlights from the 20 sightings that occurred in a typical four-day period. Yikes. The Feds talk a good game in response. “Safely integrating unmanned aircraft into the national airspace system is one of the FAA’s top priorities, and the agency wants to send a clear message that operating drones around airplanes and helicopters is dangerous and illegal,” the agency recently said in a release. But what action can it take to back up that tough talk? 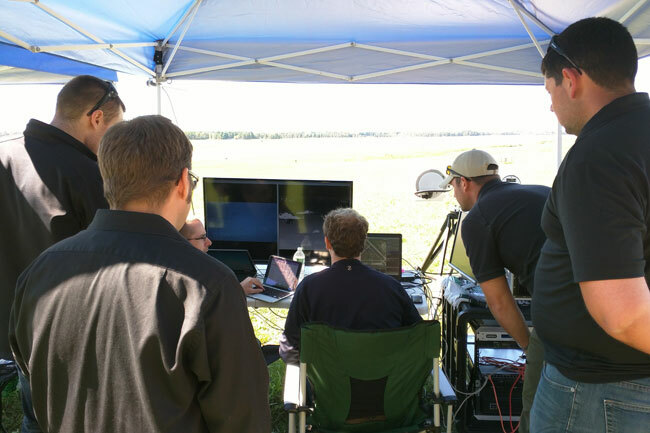 Gryphon Sensors is working with NASA on developing a UAS Traffic Management system. Four Technical Capability Airspace Management Demonstrations (TCL 1-4) are planned through 2019. The TCLs will judge system performance in complex environments, including rural, urban, high traffic, shared airspace and contingency operations. This is where I wish our story could detail a complete, simple and definitive solution: Find the drones operating carelessly, confirm their identity and neutralize them. Get off my lawn, indeed. But, that end-to-end resolution remains far in the future. 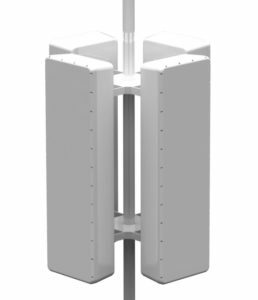 The S1200 Active Electronically Scanned Array (AESA) monitors signals in relevant frequency bands for detection, classification and tracking of UAS. It can detect a single small drone within a 5-kilometer radius. For one thing, the FAA frowns on such measures, having classified even the smallest UAVs as aircraft. They get the same protection from being shot down as your Piper does. Attempting to interfere with the flight of an aircraft, shooting it down or disabling it is a felony under Title 18, Section 32 of the U.S. Federal Code. Kill a quadcopter, and you could get 20 years in prison. The good news, however, is that entrepreneurs and regulators have begun to test approaches to drone detection and management, which is projected to be a $15.9 billion industry by 2022. And, detection is the starting point for addressing both security concerns and integrating drones safely into U.S. airspace. “With drone incursions, the FAA is now evaluating technologies for detecting and tracking drones around airports, specifically,” says Craig Marcinkowski, Director of Strategy and Business Development at Gryphon Sensors. Along with other potential vendors such as Liteye Systems, CACI International and Sensofusion, Gryphon has been demonstrating anti-drone systems at major airports, including Denver and Dallas-Fort Worth international airports. 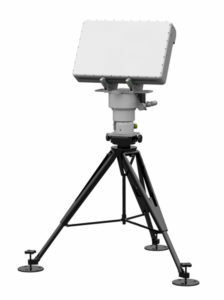 Gryphon’s R1400 air surveillance radar detects small, low-flying targets, UAS, small planes and birds. It provides accurate information on the target’s position and velocity. In Gryphon’s case, its Skylight system uses several layers of different sensors to achieve highly accurate recognition. Layer one is ground radar equipment originally developed by Gryphon’s parent company for the U.S. military. That provides “the broad search sensor that will see everything moving” around the airport, says Marcinkowski, down to objects as small as an errant tennis shot. That’s cool, but not so helpful in distinguishing between a drake and a drone. There’s also the possibility for false-positive returns from other sources, say, weather. So, Gryphon’s second layer scans the radio spectrum for signals going to or from the object. UAVs have comm frequencies; Canadian geese, not so much. Once Skylight confirms a target and a signal, its third layer—a high-tech camera with infrared and electro-optical lenses—activates. “You probably want to put eyes on it and see what kind of drone it is, even though we have a database of spectrum communication links,” Marcinkowski explains. “You might want to see what that drone is carrying. Is it just a hobbyist passing through and not knowing where they’re supposed to be, which might be the majority of these? Or, maybe it’s more of a bad actor.” In either case, the whole picture comes together in real time on a computer screen. 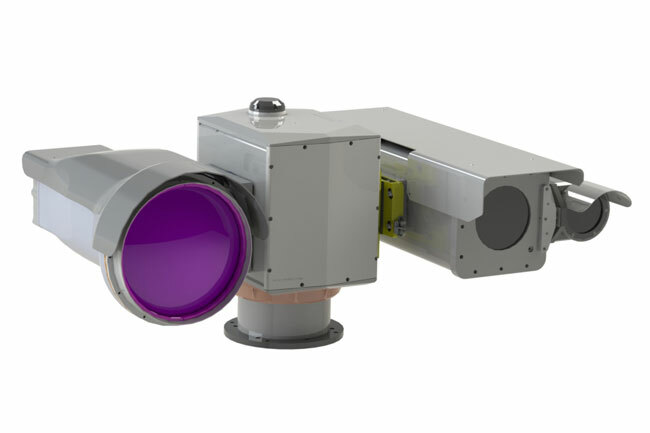 Gryphon’s high-resolution optical camera is used to visually identify and track a target. The camera uses thermal and EO lenses for visuals on objects up to 3 kilometers away. It has 360° pan and 180° tilt rotations. Which is where today’s counter-drone methodology ends and speculation for the future begins. Of the major vendors, Liteye comes closest to drone warfare with a radio gun that can shoot a disabling radio stream at those bad actors in rare situations where that’s legal, such as military engagements and Super Bowl no-drone zones. Don’t expect killer radio beams firing off at your local airport, though. In the future, it’s more likely that an operator would see that cam-copter hovering near the approach corridor and re-route traffic. Or, perhaps a future air traffic control might send real-time drone traffic returns directly to aircraft traffic screens. In addition to the large-airport tests, the FAA has also commissioned a large UAV test corridor in central New York state. Because, in the end, killing ’em isn’t a viable option. We pilots are going to have to learn to live with the new birds. Besides, if we’re honest, we want the Amazon Prime deliveries as much as the rest of the population. The New York UAS Test Site at Griffiss International Airport, located in Rome, N.Y., is developing a range for testing procedures and technologies that will facilitate the safe integration of UAS into the National Airspace System. The New York project, known as the Unmanned Aircraft System Secure Autonomous Flight Environment (U-SAFE), is a 5-year, $250 million effort to explore UAV traffic management and test systems that would allow drone flight beyond the operator’s line of sight. As part of U-SAFE, Gryphon is helping to build out a 50-mile, fully instrumented corridor between Griffiss International Airport in Rome, New York, and Syracuse. With that visibility, the FAA, NASA and private industry partners will test rules and standards for high-volume, UAV traffic. Tests will simulate such drone missions as package delivery, railway and power line inspection, wildlife and forestry management, and agricultural uses. 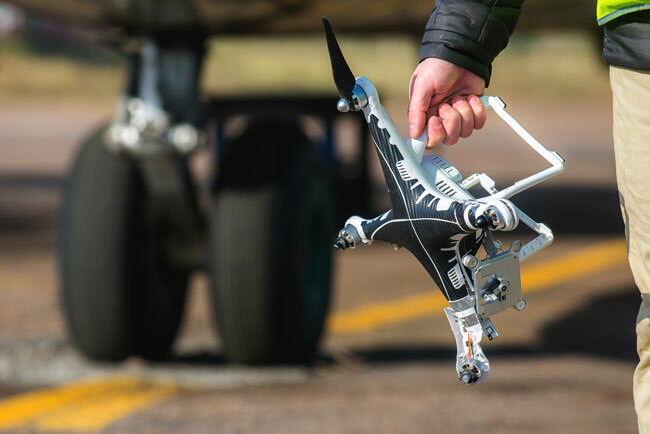 For aviation, the biggest question is whether even such large-scale investments can keep pace with the promise, proliferation and problems that drones present. According to Gryphon, it took nearly 100 years for the U.S. aircraft registry to hit 325,000; commercial drones have grown from zero to more than 1 million in their first two years of adoption. As a pilot and passenger, I have to hope that the bureaucrats win this race before the first drone is ingested into a jet engine or whangs a prop. Just to be safe, though, maybe I can look into mounting one of those drone-killing, radio jammer guns under the wing of my Cirrus. The FAA doesn’t have to know, does it? 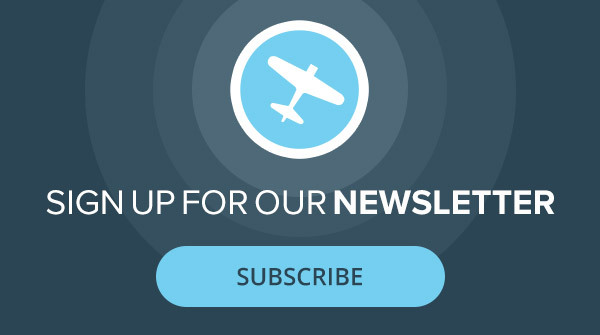 Do you want to read more articles about how science and technology are changing the world of personal flying? Check out our Future Flight archive. In addition to FAA regulations, deliberately interfering with any radio communications is a violation of FCC regulations. There’s more than one alphabet organization involved here. They can make GPS units small enough to fit in our phones and Micro SD cards that could contain the locations of all the airports in the nation. Install a lockout switch that disables the drone when it is within 5 miles of an airport. With a little more memory we could install a topographical map so that the drones could not fly any higher than 400 ft agl.